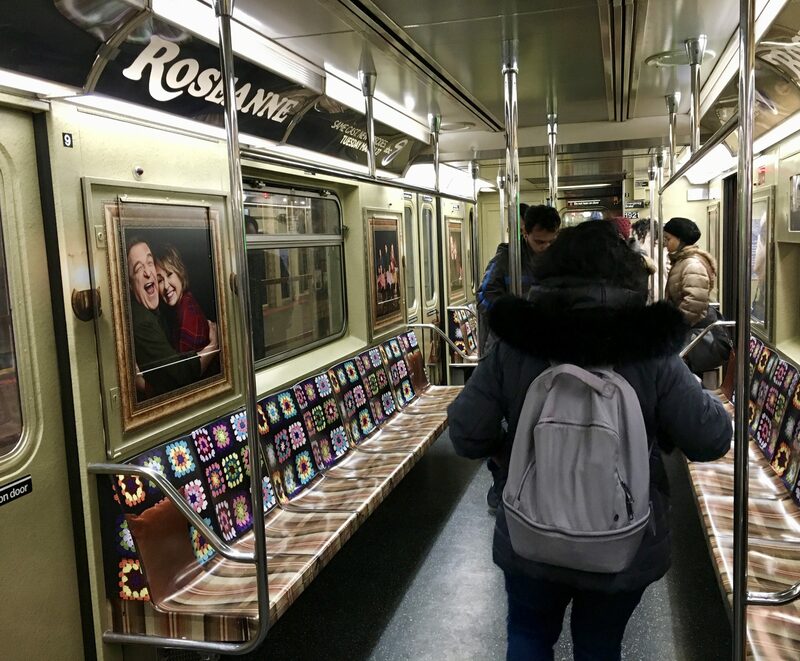 If you want to see one of the coolest Subway Car Wrap ad campaigns in recent memory — if not of all time — head over to with either Grand Central Terminal or Times Square 42nd Street and hop on the S Shuttle train that runs exclusively between those two stations, because the cars have been transformed into the legendary living room set of the soon-be-rebooted Roseanne TV show. 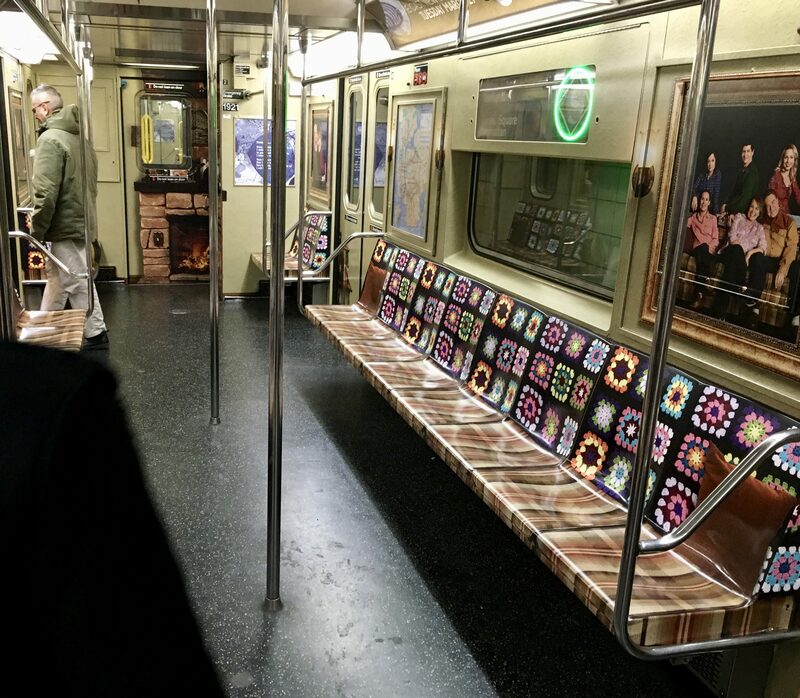 As I was pleasantly surprised to discover a couple of weeks ago, the subway seats have been camouflaged to look like the Conner’s famous couch, down to the appearance of the iconic afghan. 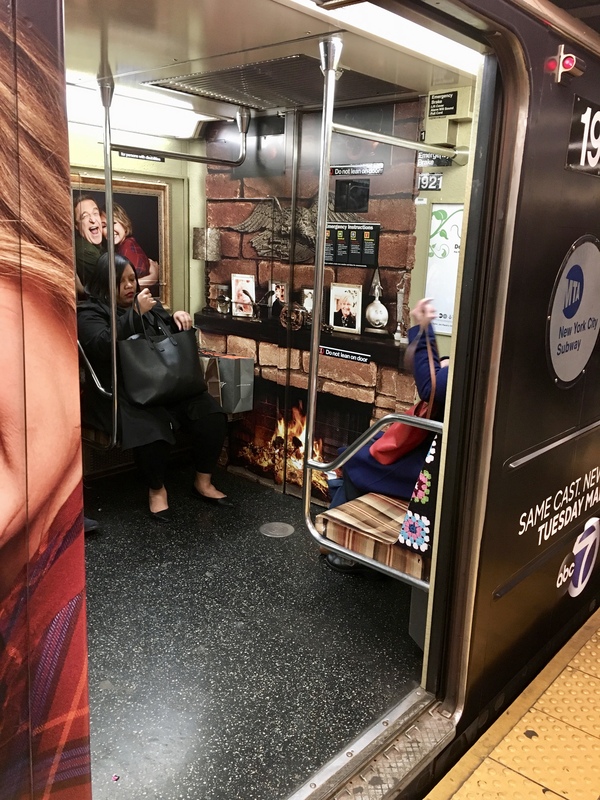 Meanwhile, the ends of each subway car are patterned after a fireplace, with photos of the Conner family and other tchotchkes on the mantle. 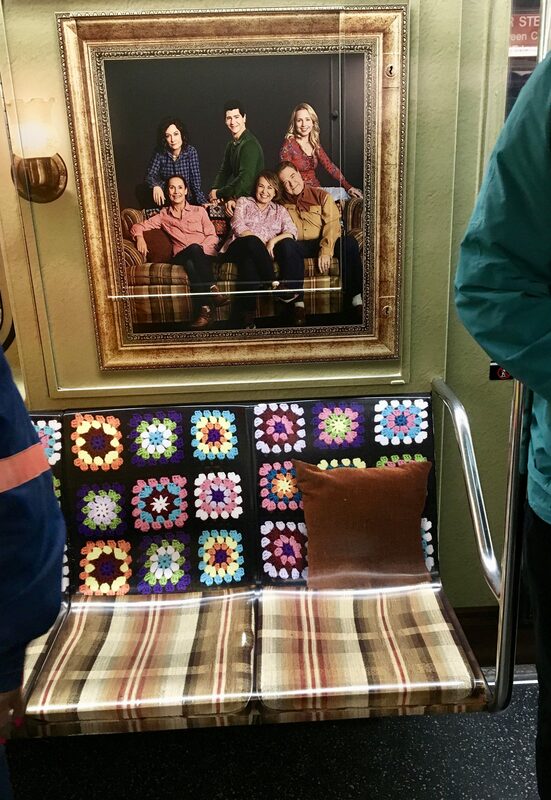 The walls feature portraits of Roseann Barr, John Goodman and the rest of the original cast, who are all returning to reprise their roles for the reboot. 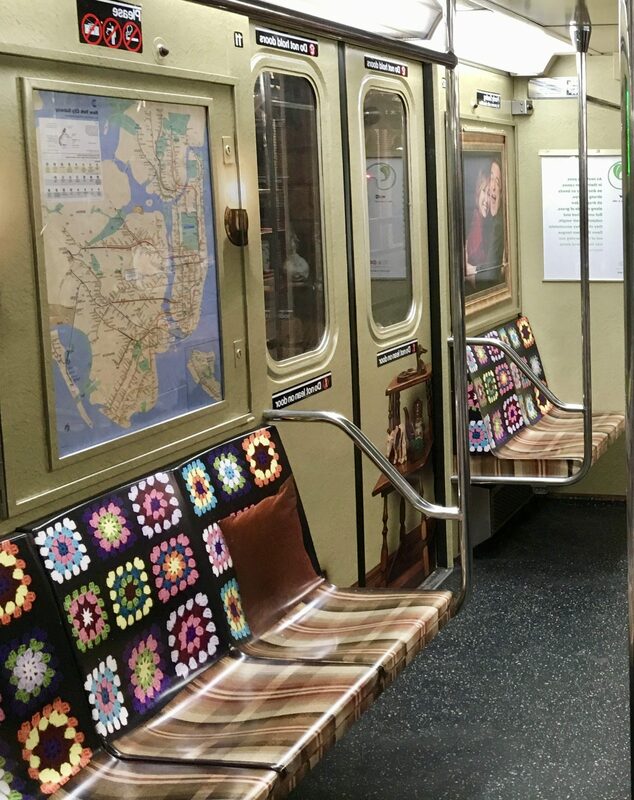 These photos were taken on two separate trips and both were during rush hour, so it was virtually impossible to get a photo without people in it, sorry! 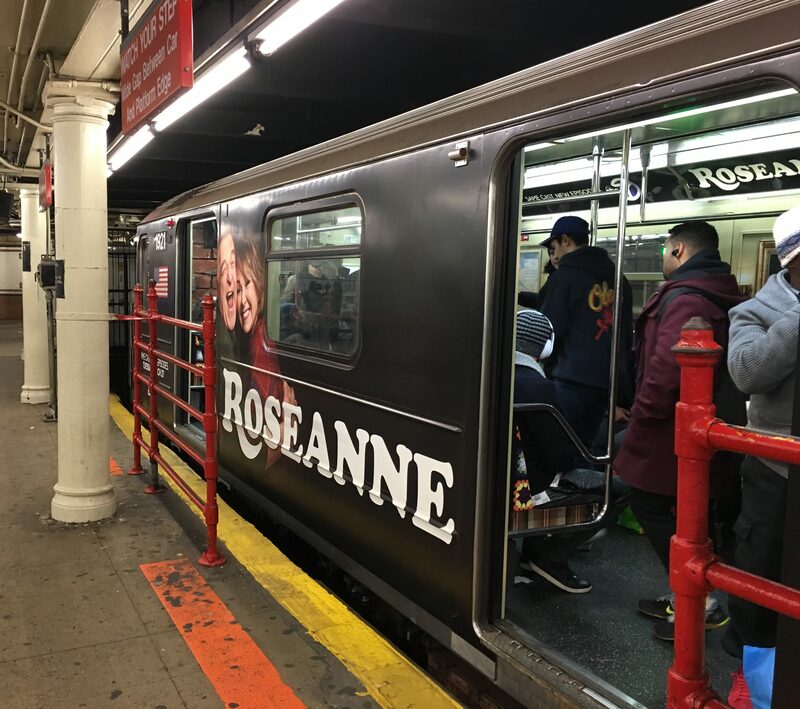 Roseanne debuts on ABC on Tuesday, March 27th, and the ad campaigns should be up through March 30th, 2018.